Lucifía (Ange Barnett) is a long time techno lover and advocate of electronic music. Her stage name is in reference to Lucifer, the fallen angel, a play on her actual name and indicative of her dark sound. Delving into the Melbourne scene in the late 90s, her passion for hard beats was first unleashed bars and small warehouse parties in Melbourne. However soon after beginning mixing Lucifia took herself to Europe to further feed her techno appetite. After traveling for six month she found the sound that she was looking for in the free outdoor parties surrounding Barcelona. It was in Spain that she found other enthusiasts of techno ‘puro duro’ and decided to stay. Not speaking a word of Spanish or Catalan, Lucifía communicated through music and began to incorporate other genres such as hard-tech, acid techno, minimal and dirty electro into her pallet. She joined the Combustion collective and together they set up free parties in the abandoned castles, warehouses and forest areas. Over the next five years Lucifia unleashed her driving beats at the parties throughout Catalonia, including the infamous Tasmaniac rave parties. When Lucifía finally returned to Melbourne she pursued her other passion in animation and motion design. Over the past five years she has made a name for herself as VJ Pixel Angel, performing for Play Native, Instinct, Modular, Circular, Silhouette, Motor Soul, Lucha Fantastica, Rainbow Serpent Festival, Gertrude Street Projection Festival and the Art-e Festival in Barcelona. However her love for DJing and techno never waivered and she continued to buy vinyl and play at any opportunity. Now joining the recently formed Vinyl Vixens crew Lucifía is planning her resurrection into the techno scene. Her depth of knowledge and deep passion drive her dark groves and raw techno beats. You’ve been in the music scene for quite some time now, although not as a DJ for a while. Tell us about your early DJ experiences – especially your time in Spain. When I began mixing in 1998 there weren’t many girls in the techno scene. I played at a few parties and bars around Melbourne but found the scene a bit insular. When I went overseas in 1999 I had planned to live in London. I found the music to be a bit commercial, so I decided to travel before settling. 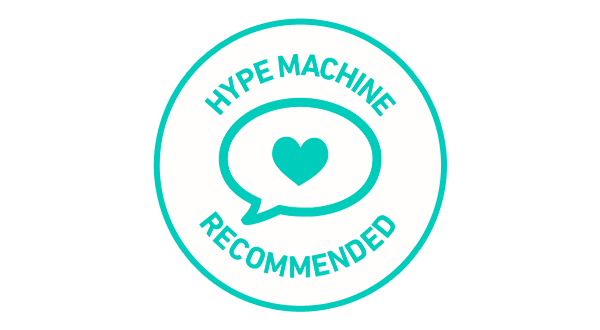 I stayed in Ibiza for 2 months where I got a taste of the rave culture, but it wasn’t until I got to Barcelona that I found people who really embraced techno at free rave parties. I decided to stay in Barcelona for a bit longer, which turned out to be almost 6 years. In the first year I lived in town called Igualada, about 90km inland from Barcelona. There I met some DJs who were techno addicts like myself. I told them through my broken Spanish I was learning to DJ and they organised a party for me to play at in my honour, as well as introducing me to the right people to get my foot in the door to play at the free raves. I joined their collective and soon began playing at free rave parties almost every weekend. The first 5 years of the millennium was a golden rave era in Barcelona. Collectives from small towns would put on free rave parties in Catalonia. DJs from the collectives knew each other and would invite each other to play. They would meet up in record stores and would spend hours swapping music knowledge and organising the next party. The parties were advertised by putting make-shift flyers in the record stores and handing them to the right people to distribute. As they were illegal parties they didn’t have the directions on them, just a phone number that you had to text to find the way. Sometimes we would spend hours in the car just trying to find where the party was, often stopping the car and winding down the window to try and hear the beat. Sometimes we wouldn’t find the party at all, but had a great time in just the search. The parties were held in the forest, abandoned castles or warehouses. As Catalonia is quite industrial there were plenty of abandon warehouse to choose from. You just had to be prepared to clean it up before and after the party. In each collective there were sub crews who oversaw the decor, bar and sound. There was always a generator that ran out of petrol in the peak of some DJ’s set. Knowingly everyone would scream out ‘Gasolina! !’ and soon enough the party would be up and running again. Each party had at least two zones. The main stage, which was techno or trance and the chill-out, which was opened to anything; ambient, experimental electronica, electro, funk… whatever. The Spanish were really open to all types of electronic music and seemed to embrace any form of electronic music. It was never too hard or too weird. This attitude really helped me as a DJ. I was never afraid of losing the crowd through being too hard or weird, they loved everything and would dance with full force and energy long into the night and the following day. The biggest rave parties were put on by Tasmaniac, a record store owned by a French guy and a Scottish girl who became a good friend. These parties were infamous, drawing thousands of people and lasting for up to three days straight (no camping). The first rave party I went to in Barcelona was run by Tasmaniac. There was at least a few thousand people huddled together partying in this amazing giant cave. A week later I returned with some friends to the site to find a hug boulder had fallen from the roof of the cave smack in the middle of the dance floor. Fortunately, I had the opportunity to DJ at a few Tasmaniac parties, which I think was what really elevated my DJ status. I was an Australian girl in my early twenties banging out the hardest industrial beats to a sea of Euro-techno addicts. It was pretty awesome. I eventually held my own rave party for my 25th Birthday, which went down in history. The party had two bars, two party zones, 40 DJs, visuals generated from old school macs. I recruited my good friends from Igualada, Tarragona and Reus to help me put it together. Using my graphic design skills I made a really eye-catching flyer and put it everywhere. The party unexpectantly went for two nights and two days and was attended by around 2000 people, not bad for an Aussie ‘gringa’. When I left Barcelona the police really began to crack down on these free raves, confiscating thousand s of dollars in equipment and imposing huge fines on organisers. The free rave scene is now pretty much non-existent. I feel very lucky to have lived there at that time. 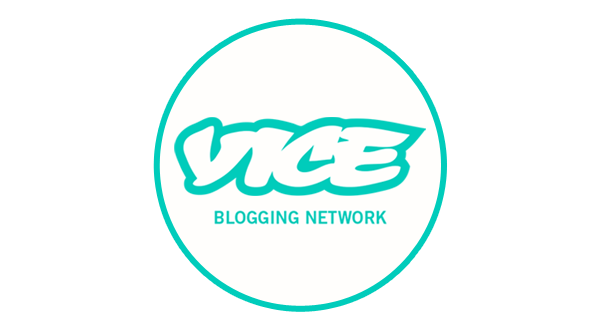 Being both a VJ and a DJ, what is it that makes you drawn to these two methods of mixing elements together, and what kind of creative outlet do you achieve from them? I have always been a visual artist. I studied Graphic Design majoring in Multimedia before I left for Spain. When I returned from overseas I wanted to focus on my career and I did a Masters in Animation and Interactive Media at RMIT University. Rather than furthering my career in motion graphics I found myself creating large-scale projection art installations for the likes of Experimenta Biennial of Media Art, L’Oreal Fashion Festival, the Melbourne Spring Fashion Festival, the Melbourne International Animation Festival. I had found the electronic music in Melbourne scene at that time to be quite rigid. The Melbourne crowd wasn’t as open as the Spaniards and I found myself not really finding an outlet to freely play my music. So I began VJing, which I found really easy and fun. My experience in producing a number of projection works meant that I quickly picked up the software and had the ability to aesthetically create live compositions . Also years behind a sound mixer meant that I felt very comfortable mixing the right visuals to sync with the beat. VJing was my way of entering the Melbourne electronic music scene without the pressure of DJing. I also am able to incorporate a lot of my own animations and videos that I have created, which I haven’t reached that level of production in music yet. Through VJing I’ve been fortunate to meet a number of awesome DJs and become a part of the scene in a different way. But I do miss DJing and I’m hoping to get back into performing again someday soon. It’s no secret you love electro. What is it about it that shakes your fun machine? Hm, I actually never saw electro as a ‘fun’ alternative. The electro I was into, stemmed from techno and was always quite dark and sinister. I wasn’t into the cute cheesy sound. In the early days I was a big fan of Dave Clarke, DJ Hell, Thomas Schumacher and Green Velvet. Although they were predominantly techno producers they always released electro B-sides to their tracks that were quite edgy. I soon became a fan of Miss Kitten and the Hacker, Miss Yeti and Fisher Spooner just to name a few. I supposed I was also drawn to the raw gritty sound of electro. I played a lot of Atari video games when I was a kid and the sound produced by these artists wasn’t dissimilar. Electro also gave me an opportunity to play in the chill-out stage at the free raves. Often it was such a bum fight to get to play on the main stage at parties that having a second genre of music up my sleeve gave me another outlet. I have yet to reopen my electro box in my DJ resurrection, but I know I will once I find the right sound to play. 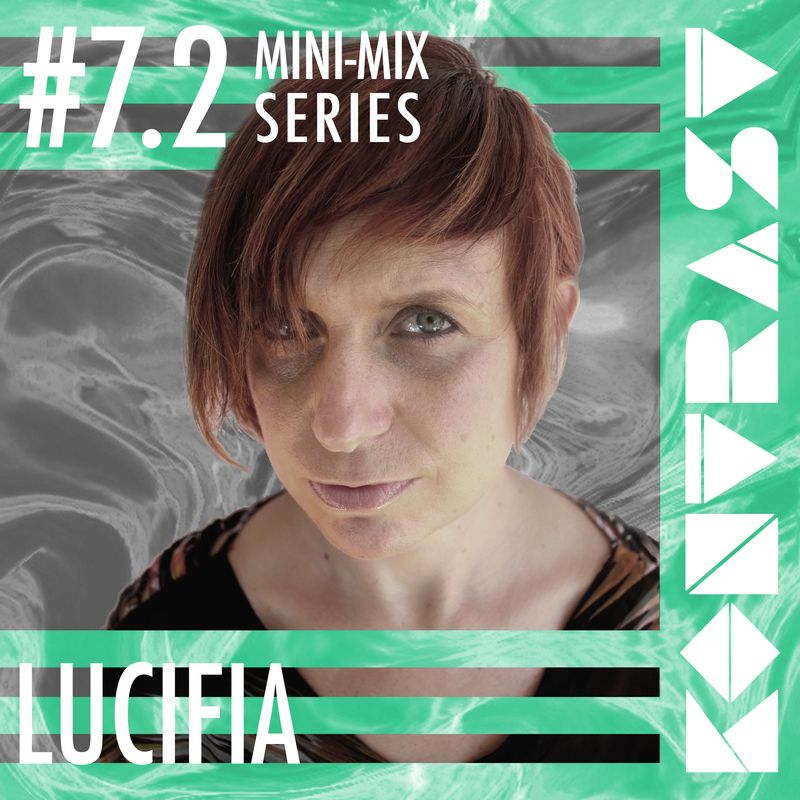 Have a listen to Luficia’s mini-mix for Kontrast below. This is a skilful mix of driving, energetic and dynamic techno tunes. We can definitely imagine being on one of those Spanish rave parties when we listen to this! KONTRAST is a collective of creative spirits who loves to combine raw sounds, dark, thumping beats and intense, edgy musical experiences with extraordinary visual elements in an experimental and innovative way. We want to build something new, colourful and unforgettable and to explore how sounds, shapes and visual imprints together can create something bigger than ourselves, and a different state of mind. The seventh series of the KONTRAST mini-mix series will run from January 4th to 25th, and there will be an exclusive podcast from each artist with a short interview to get to know them better.